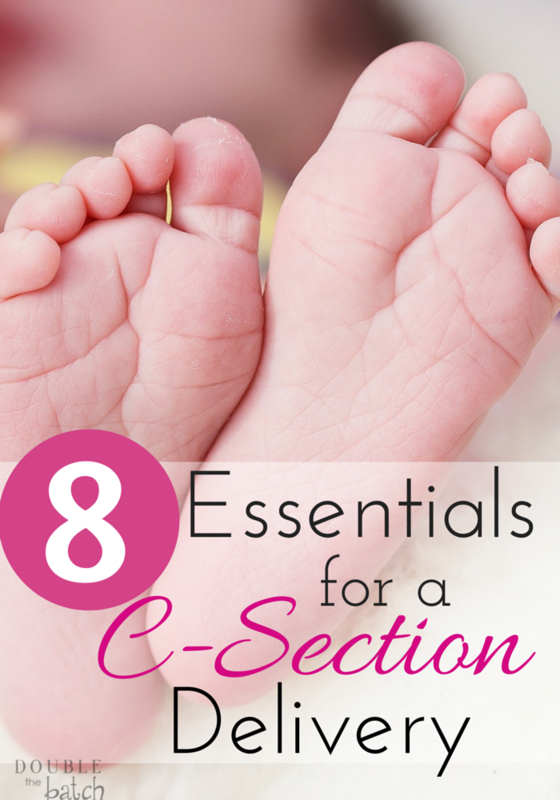 Having a C-Section was NEVER part of my plan with the births of any of my children. In fact, my first 3 children were all delivered by midwives completely natural. With my 3rd and 4th pregnancy, my babies were breech. The difference was my 3rd finally turned after a couple visits to the chiropractor who used the Webster’s Technique. My 4th pregnancy, I visited the same chiropractor, and my baby just did not want to turn. My midwife tried to turn him (that wasn’t fun) and I tried every technique I could find to turn that kid but he would not budge. Finally, my midwife had to refer me to a different clinic with a doctor that could give me a C-section. I was devastated and scared! The thought of having major surgery (especially since I had never had any kind of surgery before) was frightening to me. They told me of a doctor an hour away that delivered breech babies if I wanted to go that route, but I just didn’t feel good about it, and I’ve learned to follow my ‘mother instincts’ because they are there for a reason. It was a good thing, because I ended up having my water break 2 weeks early and I was so grateful I only had to drive down the road to the hospital at that critical point. The doctors and nurses moved very quickly to prep me and I remember feeling at peace but nervous about what could possibly happen. I hemorrhaged after all my other births so that was on my mind. Thank goodness for a great hospital and very caring nurses and doctors who reassured me and took very good care of me. It was not as bad as I thought it would be but I thought after that, if I had to do it all over again, I would have liked to have been more prepared and know a little more before I went in (hence the reason for me writing this post). I hope I can give at least a little comfort to someone who might be preparing for a c-section or even those who might NOT think they will have one. It never hurts to be prepared because you never know the outcome of a birth till that baby is actually safely here. Prepare for the worst but hope for the best! 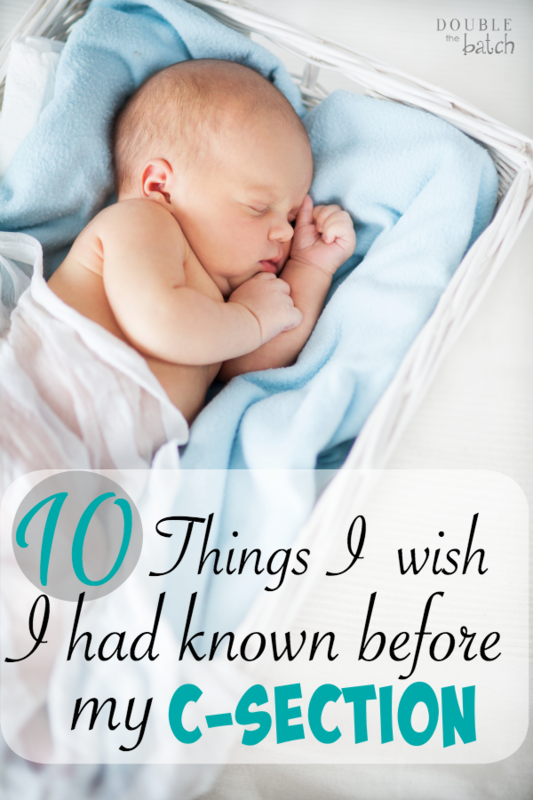 Here are 10 things I wish I had known before for preparation and recovery after c section. 1. Make sure you have the best possible doctor. Don’t EVER feel like you HAVE to go with a certain doctor! This is still your birth. Read reviews and talk to other moms online or facebook. Thank goodness I did this, because the doctor I was actually referred to ended up not being a good fit for me. When I talked to older moms who had used him in the past, they raved about how much they loved him but talking to moms who had recently used him I only got negative reviews. Evidently he had been an awesome doctor in his younger years but had developed a not-so-friendly bedside manner in his close to retirement years. So, I went to Facebook and noticed most of my friends recommended a different clinic so I went there instead. Even though I scheduled the doctor I wanted for my C-section, I ended up getting who was on call because of my water breaking 2 weeks early. I was glad that I chose a good clinic because I still felt like I was in good hands the whole time. Just like with a normal vaginal birth, try not to listen to all the negative experiences that women like to tell of their own births. Fear is never helpful, only hurtful. When asking for advice from other mother’s (which I feel is important), ask them for helpful tips and to share the best parts of their deliveries. I cannot emphasize enough how important it is to be positive and stay calm. I was very prayerful, listened to peaceful music at night, and tried to send positive energy to my baby. Think of how wonderful it will be to just get that baby here safely and hold him (or her) in your arms. I would not recommend watching videos online of c-sections or searching all the baby forums. Focus on what you want YOUR OWN experience to be instead of worrying that it might turn out like someone else’s. 3. Make sure you are as healthy as possible. If you are about to have major surgery, you want your immune system to be functioning at it’s best. They gave me antibiotics before and after my surgery and I got a massive yeast infection after I returned home. I wished I had remembered to take a good probiotic right after. That thought had never occurred to me but now I know why. After you have a C-section, any sneeze, cough, or laugh is extremely uncomfortable and makes you feel like your insides are all falling out. So, try your best to be well, tell all your visitors that no jokes are allowed and keep a pillow close by to hold against your stomach in case you do cough, sneeze or laugh. That pillow became my best friend in the hospital! I also made a habit of keeping packets of Emergen C close by to boost my immune system. Along with antibiotics and an awful dose of something to prevent nausea (I had dinner right before my water broke) they also had to shave the area where they were making the incision which was a little awkward. It itched days later after the surgery when it grew back in, BUT would have been worse if I had not known before that they were going to do it (so…now you know). It was also really cold in the room where they wheeled me for the surgery and I’ve heard from others that is common. They gave me a spinal block which was really uncomfortable for a few seconds but then lovely because I finally had some relief from all the back pain I had been experiencing! They put up a curtain right in front of my face so I couldn’t see the surgery (a blessing) and I couldn’t move my arms at all during or after the surgery when they were stitching me up. I was SO nervous I would feel the incision. That was my biggest fear. Believe me when I say, they make sure you are completely numb. I was amazed at how little I felt throughout the whole procedure. My husband was allowed to be there by my side to comfort me and then to be by the baby’s side afterwards when they took him over to clean him up. I was majorly bummed to not be able to hold him right away but obviously that would have been extremely difficult with them putting me all back together and stitching me up. After they were finished, they wheeled me into recovery to make sure I was doing ok and monitor me for about an hour and I honestly can’t remember if they brought my baby in then or when they wheeled me into my room. All I know is what a precious moment that was when I finally got to hold him in my arms! I have heard a lot of moms say that c sections interfere with the bonding of mother and baby and I can see why, but it didn’t for me. 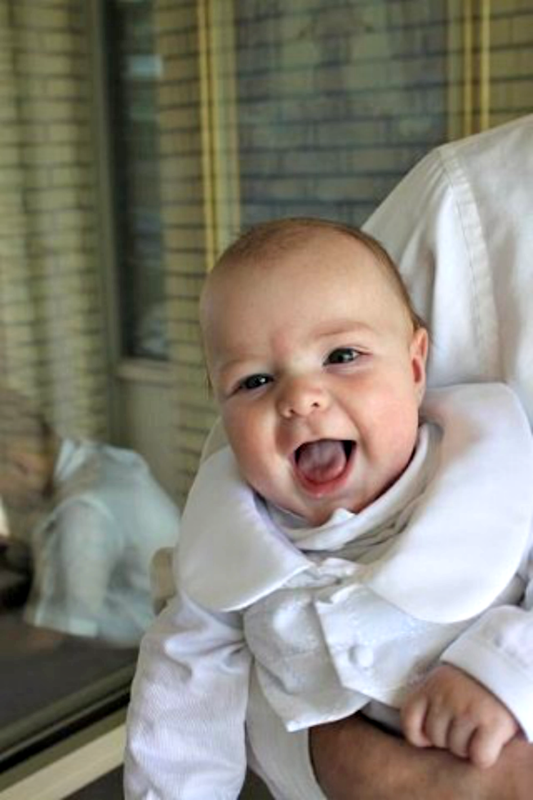 In fact, my bond with this baby has been stronger than any of my other kids. Maybe that was because of what we had to go through together! Forgive the thumb. My husband was in a hurry when he took this pic! Each time I got up, it was a little easier, and by the time I was released to go home (5 days later) I was getting myself out of bed without help, and walking just fine (and by fine I mean VERY SLOWLY). I would highly recommend walking those halls as much as possible as it speeds the healing process. Be cautious not to overdo it and listen to your body. It will save you pain later on. Listen to those nurses when they tell you to stay on top of your pain! I never needed the full dose of pain meds that they were offering but I also never let my pain get ahead of the medication. It’s not worth it! I made sure to take the stool softeners that they offered. Because I was paranoid, I also took a magnesium drink each night I was there to also help with that first bowel movement after birth. 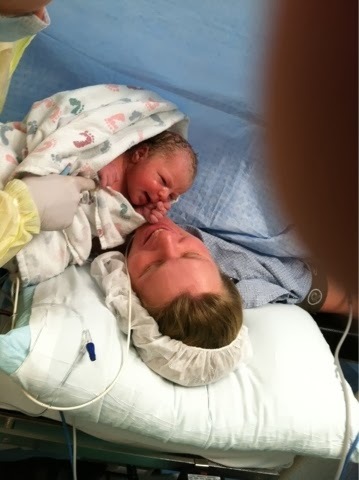 If you think having a bowel movement after a normal vaginal birth is bad, having one after a c section and being on pain killers is a major event! My friend warned me beforehand and told me to eat high fiber foods while in the hospital. Of course I DID NOT follow her advice and chowed down on all the delicious meals (my hospital actually had REALLY good food!) but I was still fine because I took those 2 things. Keep those bowels in mind! It’s normal not to have a bowel movement for several days after the surgery. Mine took 5, but then again, remember what I was eating! Speaking of eating, you will most likely be hungry since they don’t let you eat before the surgery and only let you eat liquids for the first day after. Throughout my stay, the nurses would always ask if I wanted a snack whenever they brought my pain killers. I usually ended up with a single package of crackers or cookies. One nurse shared a great secret. She said, “If you want, I can get you a basket with an assortment of snacks.” Of course, i said yes and I got a basket with EVERYTHING. It was awesome! Be aware that after a c section, if you are planning on breastfeeding, it could possibly take longer for your milk to come in. Mine didn’t actually come in till I was home so they had me supplement a little towards the end of my hospital stay. I still question whether or not that was really necessary. Because this wasn’t my first baby, I knew to just be patient and nurse, nurse, nurse! If I was a new mom, however, I can see the possibility of getting really frustrated, worried, and giving up. Even my first baby took 3 days. Just be aware that your body has gone through a major surgery and give it time to catch up. I knew I was coming home to 3 other children (hence the reason why I stayed the full 5 days in the hospital) so I prepared way in advance of my delivery and asked friends and family to help take care of my kiddos for that first week. Healing after a c section is a much longer process than a normal delivery. It’s harder to get up out of bed because you are no longer in a hospital bed that can be raised and your abdominal muscles are mush. (it gets better, I promise!) It was next to impossible to care for anyone else besides myself and my baby. I wasn’t allowed to lift anything heavier than him, or go down stairs, vacuum or do any heavy housework. Basically, I could nurse my baby, eat, and sleep. I couldn’t bend over to pick up stuff (imagine what my floors looked like with 3 other kids) With each week of recovery, I could do a little more (like wipe a counter, yay!). I am SO GLAD that I had lots of help because of everything that happened to me in my recovery. I got a blood clot in my leg, (luckily only a varicose, not deep vein), a double breast infection that almost completely dried up my milk, and many other things which I won’t bore you with. The point I am trying to get a cross is…..GET LOTS OF HELP!!! Don’t try and be super mom. This is not the time for that! The one time I did get cocky and do to much, I ended up back in bed screaming in pain. Just give yourself time to heal. A friend actually came and cleaned my bathroom for me. That was help that was hard for me to accept, but I was so grateful! I took my pain meds even though I am more of a “do it natural” person. I just knew better than to try and endure that kind of pain, and I only took what I needed, though and stopped as soon as I felt I could. Obviously I am not a doctor so I will just say to follow everything your doctor says for taking care of your incision. That incision scared me. I was so afraid it would get infected or come open so I was very cautious till it healed. I showered every day and made sure I padded it dry with a towel after and even used a blow dryer on low heat to make sure it was completely dry. It healed just fine and you can barely see it now. If you are worried, just call your doctor’s office. You may be sleep deprived, homebound, and not able to do all the things that you want to do but you CAN enjoy that sweet bundle of joy. Before you know it, time will have flown and your baby will be running around with you on their heels and all of this time will just be a tiny memory in life’s rear view mirror. 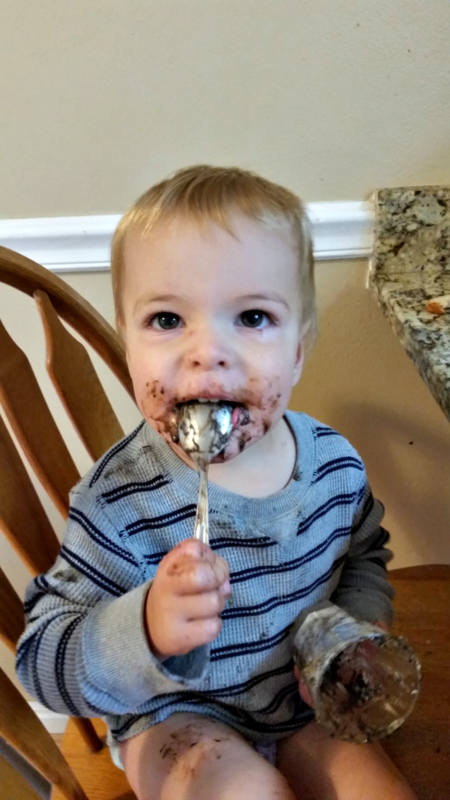 Look how big my crazy little boy is now! Packing for a C-section is also different than a normal vaginal delivery. Read my post HERE to learn what I wished I had packed for my delivery!